Casey Neistat is calling out Burger King for its shady marketing tactics that exploited social media influencers. 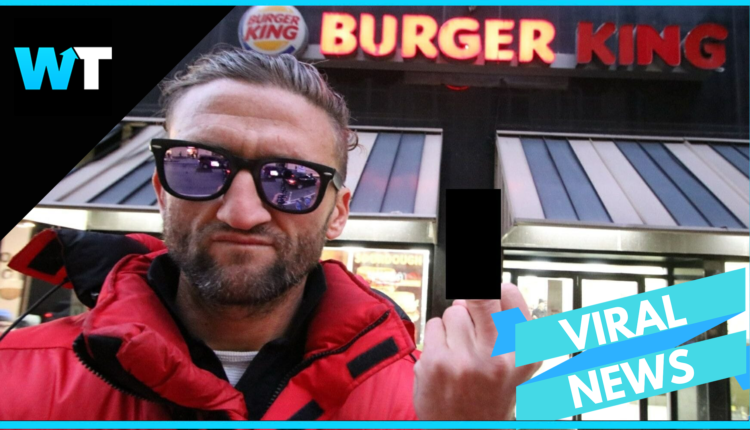 Casey Neistat is calling out Burger King for its shady marketing tactics. Casey Neistat is a creator known for his unique and innovative vlogging style and is widely admired for his cinematic videos, with over 10 million subscribers. Casey is never one to hold back sharing what he thinks and calling people out… and his newest video aimed at Burger King does just that. And the answer was not easy to hear. Casey later found an article by Complex that revealed Burger King’s marketing strategy. By liking old 2010 tweets from social media influencers, like Nateshot, Kreyshawn, and David Amaya. Burger King got free publicity. Because obviously, these people are going to point out how weird it is. And while this campaign was brilliant, it’s also ethically complicated. In fact, A company called Zoomph later shared that according to their data, Casey provided around $83.2K in value to Burger King for this tweet. That’s a lot of money. Not to mention how much PR they are getting from his video about it. What do you think about this campaign? Was it smart or shady? Let us know in the comments or on Twitter at @WhatsTrending. VIDEO: Kylie Jenner Spent 10K on Postmates!